Our hair & beauty salon in High Wycombe town centre is situated on castle st. 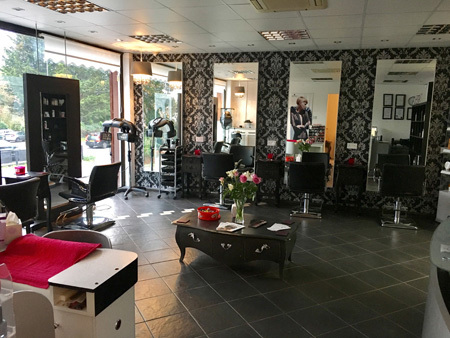 The salon is a family run business which has a fun & relaxed atmosphere, and with our experienced stylists it is our up most priority that our clients feel welcome & comfortable when visiting us. Elwood’s is a stylish salon with its own unique charm. A visit with us is not only an opportunity to have some quality time to yourself, but to be pampered in comfort. With our experienced stylists we offer a top quality ladies & gentlemen cutting & colouring. We also offer perming. Bridal & prom hair styling, inc a free consultation. We use a range of salon professional hair products inc KMS and Schwarzkopf. Our staff are highly trained to offer you the best hair care advice. 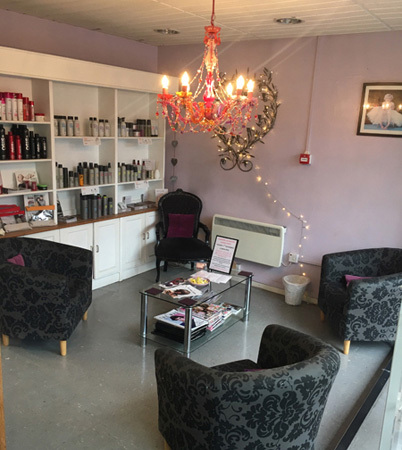 We have opened a second hair and beauty salon on the London road in loudwater. We have a variety of Beauty treatments for both men & women. With our experienced Therapist we offer a range of treatments from Massage, facials, waxing manicure pedicures, shellac gels pamper packages & more.... we can also personalize the perfect treatment for you.The products we use a salon professional with natural ingredients. We take a lot of time & care to ensure we use the right ones for you. In our relaxing treatment room, with soothing music you are sure to feel at peace. Gift vouchers are also available making the perfect gift for someone special.